Virtual Museum | Brüder Grimm-Gesellschaft Kassel e.V. 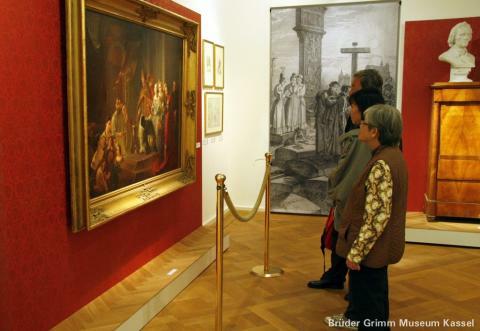 The virtual Museum of the Brothers Grimm allows you to visit a presentation on the "Life and Work of the Brothers Grimm" in the historic Palais Bellevue which is now permanently closed. The tour of the virtual rooms follows the layout of the exhibition rooms in the Palais Bellevue. It is arranged chronologically, presenting the most important places and works of the Brothers Grimm, starting in Hanau and Steinau via Marburg and Kassel up to Göttingen and Berlin.